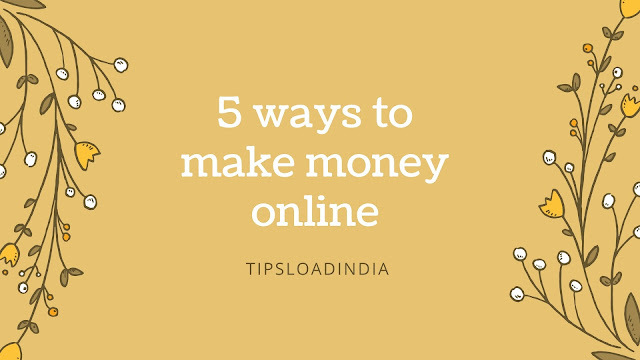 A successful youtuber is not only satisfied from only income from Adsense and always give eyes on new method to earn so many sites gave solution of this problem and launch a new way to earn from youtube videos. I am talking about sponsorship of any product or any company. It's like that you are in a youtube ads character in this way you have to make videos based on content and product of sponsors and you have to upload it to your youtube channel. You can take sponsorship on your youtube channel.it's your choice to take sponsorship of any type.you can take all type of sponsorship like product,digital product,website,brand,markating and blog these all types of sponsorship were given by big firms. it's depend on you and your channel type to take suitable sponsorship for youtube channal. You can use any type but this is best to choose matching type of sponsorship with your youtube channel type. For example if you make videos on products review so this is best to choose product section sponsorship of brands and if you make videos based on beauty and health you can apply for a cosmetic product. It's reliable to your videos and make some money for you also. This is not a work of expert a normal and a small youtube channel also can apply for a youtube sponsorship and make good money from it.its for all youtuber who get success on getting first some difficult days of youtube because of less views but if now you have good visitors amount on your youtube channel you can get sponsorship from brands. This is a genuine and original site which pay in real. You can trust on this site as well as youtube because famebit is owned by youtube so this is like a branch of youtube. For all youtubers sponsorship is very good way to earn and it's for all but there was some recommendation from famebit to get sponsorship they are no tough to complete. Its like a test that you have visitors on your channel. You do not have to do anything big to earn from sponsorship you only have to make videos according to your sponsorship product and tell about product or brand benefits and quality of product in your video. You just have to tell people to buy or use this product and for this little work sponsors will pay you big. Big channel earn big and small channels will earn medium amount from youtube sponsorship.